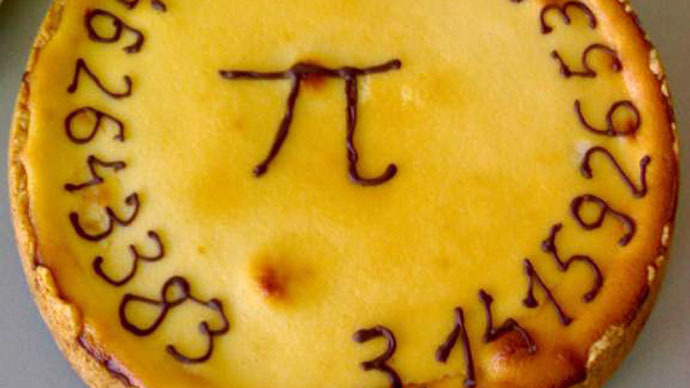 All math-lovers have a special occasion today – a magical once-in-a-century Pi Day. It’s an international day which honors one of the most recognizable mathematical irrational symbols - "pi" or "π," proving once again that math can be fun. This Saturday, March 14, 2015 is 3/14/15 in the US date format which corresponds to the first digits of a mathematical constant Pi: 3.1415. The best time to enjoy all the ‘irritability’ of today’s day is to celebrate it at 9:26 and 53 seconds, morning and evening as then the time matches with all 10 digits of Pi: 3.141592653. The holiday happens once in 100 years and the true fans of Pi should really savor the moment as the next time it happens will be in 2115. For the admirers of general theory of relativity it’s also an occasion to celebrate Albert Einstein's birthday, which is also March 14. One special feature of Pi, which is the constant used to calculate the area of a circle, is that it is irrational so its digits never end or repeat. Pi number was also put to use for the construction of the ancient pyramid of Giza in Egypt. "We cannot change it. It's not subject to opinion or taste or time," Frenkel said. "How many things like this in the universe mean the same thing to everyone through time and space?" Some math enthusiasts want to pay tribute to one of the most enigmatic numbers in the Queen of Science by eating pies. "It's a real exciting moment for math enthusiasm," said Nathan Kaplan, a Yale University math professor, who called it a time for people to "remember how much fun they found some of the stuff in school." Pi Day celebrations are held or planned today all around the globe. The events are arranged across the US, including New York, San Francisco, Chicago and Los Angeles.